Live fast and die young. 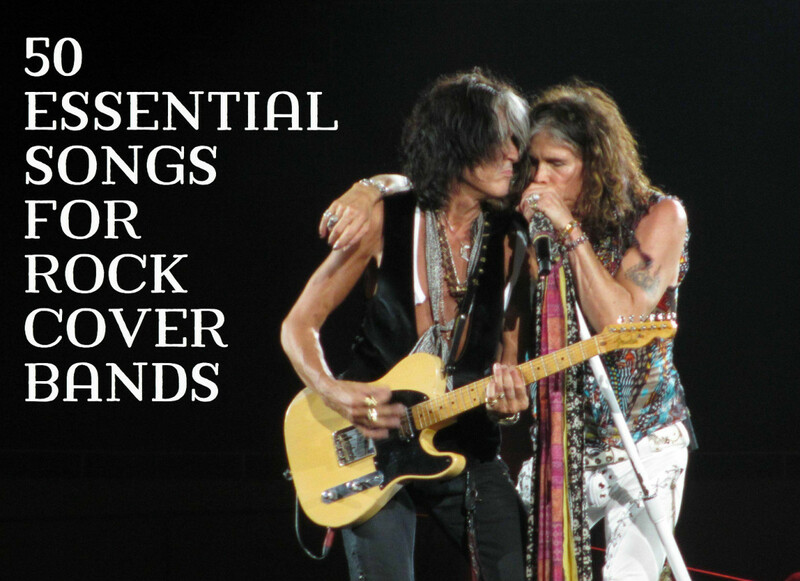 Hasn’t that been the mantra of many rock stars? Or, as The Who themselves put it, “Hope I die before I get old.” Well, the career of Keith Moon, the wild drummer of The Who, one of the greatest rock bands of all time, certainly exemplifies this party-hardy lifestyle. If any rocker has partied harder than Keith Moon, who would it be? One of the reasons The Who surged to prominence in the middle 1960s was because Keith Moon played the drums like a man possessed by a demon. He hit the drums so hard it appeared he was trying to destroy them – as he played them. And if that wasn’t apparent, after many concerts he would kick his kit about the stage and sometimes fling it into the audience, the consequences of such recklessness be damned. Keith Moon, commonly known to many as Moon the Loon, was also quite the joker, clown and prankster too, though his sense of humor often rubbed folks the wrong way. For instance, Moon would dress up as a Nazi officer – accentuated by a tiny Hitlerian moustache - and then drive through a Jewish neighborhood, throwing in a “Sieg heil!” or two along the way. And his penchant for destroying hotel rooms became legendary, even among rockers who found this ritual de rigueur. Likewise, Moon’s partying became monstrous in scope. 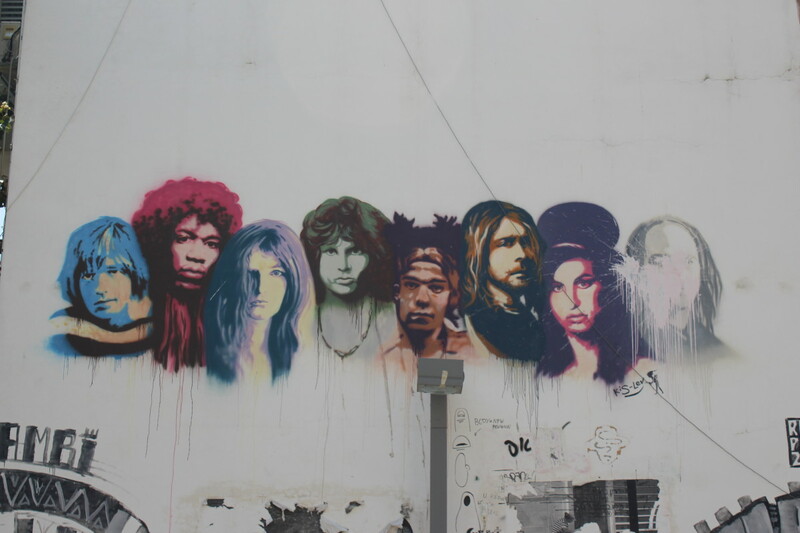 He even put Jim Morrison to shame. Both would gobble pharmaceuticals by the handfuls, without even knowing for sure what the heck they were. Of course, this heedless self-indulgence came at a price for these rock superstars. Both died young, Moon at the young age of 32, though he probably looked ten years older at the time of his demise in 1978. Let’s check out the career of Moon the Loon and find out where he came from and what he became. Don’t miss this bumpy, thrill-filled ride. It seems no rocker was crazier than Moonie. By the way, most of the quotes in this article are drawn from Tony Fletcher’s book, Moon: The Life and Death of a Rock Legend, published in 1999. A decidedly hyperactive kid, Keith Moon grew up in England during the 1950s, a time when such difficult children were considered dysfunctional at best or worse, brain damaged. These days, such a youngster would probably be labeled as suffering from Attention Deficit Hyperactivity Disorder (ADHD). At an early age, Moon was a joker. While on a subway full of people, he would pull out a paper bag and play sick, pretending he was about to retch into the bag, all the while making the most horrific moaning and groaning sounds. Many people think Keith Moon was never tutored on the drums, but he actually took lessons from a frightening bloke named Carlo Little of the Savages, a local rock group of some renown. Moon paid Little ten shillings per lesson. Moon played the drums in his first rock band, the Escorts, in 1962. Then a short time later, he joined the Beachcombers, one of the best cover bands in the London area. While working, Moon liked wearing a gold lame suit, the likes of which few had the balls to put on. From a young age, Keith Moon often stole tape recorders, drums, amplifiers or furniture - whatever he thought he or his friends needed to be musicians. 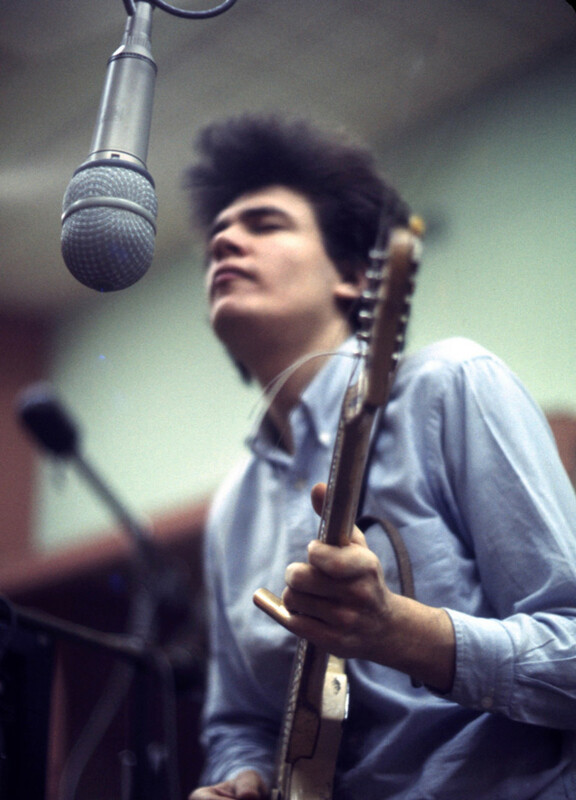 In order to cope with staying up late for gigs and then working at another job early in the morning, Moon, like many other musicians, began popping uppers such as purple hearts or French blues. Ironically, years later, doctors began prescribing amphetamines such as Dexedrine to treat ADHD. No wonder Keith liked them so much! At time of great moment, Keith Moon auditioned for the Who, which accepted him reluctantly, though accounts vary as to how the event came down. At any rate, the Who were going to try Keith out to determine his long-term viability. Many years later, Moon said he had spent the last 15 years trying out for The Who. As the story goes, during one of Moon’s first gigs with The Who, Pete Townshend, while experimenting with a “Swiss echo” effects box, blew out the PA system and then cried “Drum solo!” So Moon pounded away for the next 15 minutes while the others repaired the damage. After the performance, Moon stripped off his T-shirt and wrung the sweat from it, soon filling two wine glasses. Adopting the new mod fashion, The Who became a so-called mod band and played in mod nightclubs. The Who were also known as an R&B band, similar in playing style to the Rolling Stones and the Animals. And, at one point, they actually changed their name to the High Numbers! During a performance at the Railway Hotel, Pete Townshend accidentally poked his Rickenbacker guitar through the low ceiling, breaking the neck, and the crowd roared, thinking it was part of the act. Then, at the end of another show at the hotel, Keith Moon kicked over his entire drum kit. From then on, Townshend and Moon would trash their gear at the end of each performance, beginning a long-enduring and often imitated ritual. 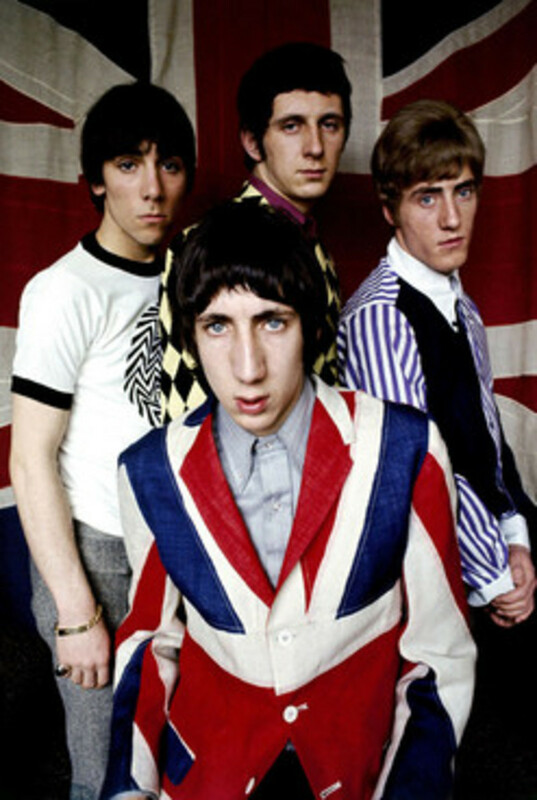 “I Can’t Explain” was The Who’s first self-written single. The record featured Keith Moon as a kind of soloist, like a guitarist or singer, providing potent fills at the right time. No other rock drummer, not even Ringo Starr or Charlie Watts, were doing this. Moon’s first long-term girlfriend was model Kim Kerrigan. Moon often opened his heart to Kim in words and letters, professing his love and jealousy. He seemed to worry constantly about Kim leaving him for some other guy. The Who often performed on the popular British TV program Ready Steady Go! which was performed and broadcast live. In fact, the band played on the show 10 times in 1965! There was often friction in The Who, particularly between singer Roger Daltrey and Keith Moon. Daltrey seemed to patronize Moon regarding his raucous, undisciplined playing style. While performing, you could often spot the to the two of them glaring and grousing at each other. In contrast, Keith Moon and bassist John Entwistle were good friends and would often go bar-hopping together. Both liked to joke and pull pranks too, though in this particular comedy team Entwistle was definitely more of a straight man compared to Moon’s zany fall guy. By this time, Keith Moon was popping lots of pills, particularly uppers of all sorts and downers such as Mandrax (methaqualone), a sedative-hypnotic. Mandies such pills were often called. Once a guy goes up, he has to come down, right? Moon was known to gulp pills by the score. The Who’s first album was called “My Generation,” the title cut of which eventually became an anthem of the younger generation. 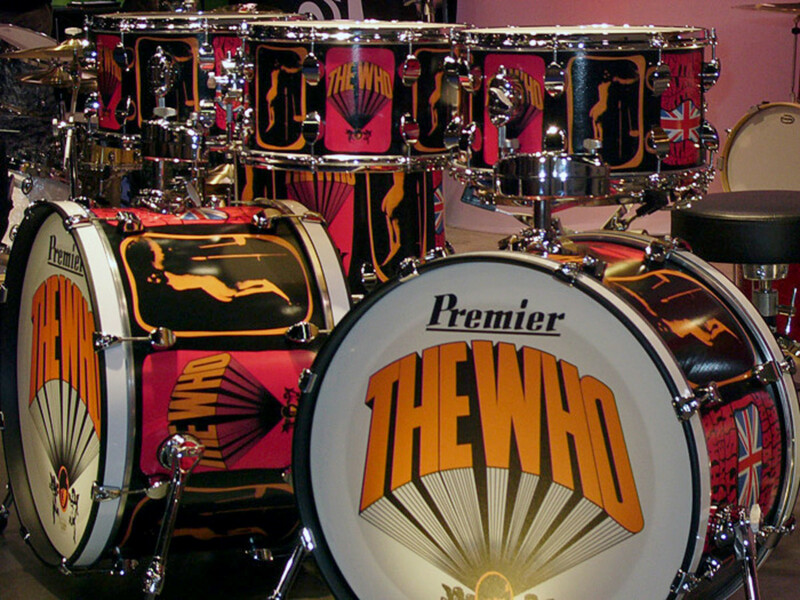 This tune highlighted the Who’s inventiveness and prowess as up-and-coming rockers of note, particularly Moon and his demented, whirlwind style of drumming. Eventually, Kim Kerrigan, now pregnant with Keith’s baby, married Keith, though they managed to keep the marriage and pregnancy a secret for many months. Moon installed a loudspeaker in his car, a chauffeur-driven Bentley, and would drive around and make announcements as if he were the police or some politician running for office. He also installed a record player, pumping out surf music or car tunes by the Beach Boys or Jan and Dean. Moon often impersonated Robert Newton’s portrayal of Long John Silver in the movie, Treasure Island. Moon even resembled Newton somewhat. Using the loudspeaker, Moon would often recite lines from the movie while driving about in his car. In early 1966, Bruce Johnston of the Beach Boys (who replaced Brian Wilson when the band toured) met Moon in England. Johnston brought with him a copy of Pet Sounds, Brian Wilson’s answer to the Beatles’ album, Rubber Soul. The Beatles heard this album and were blown away by how good it was. 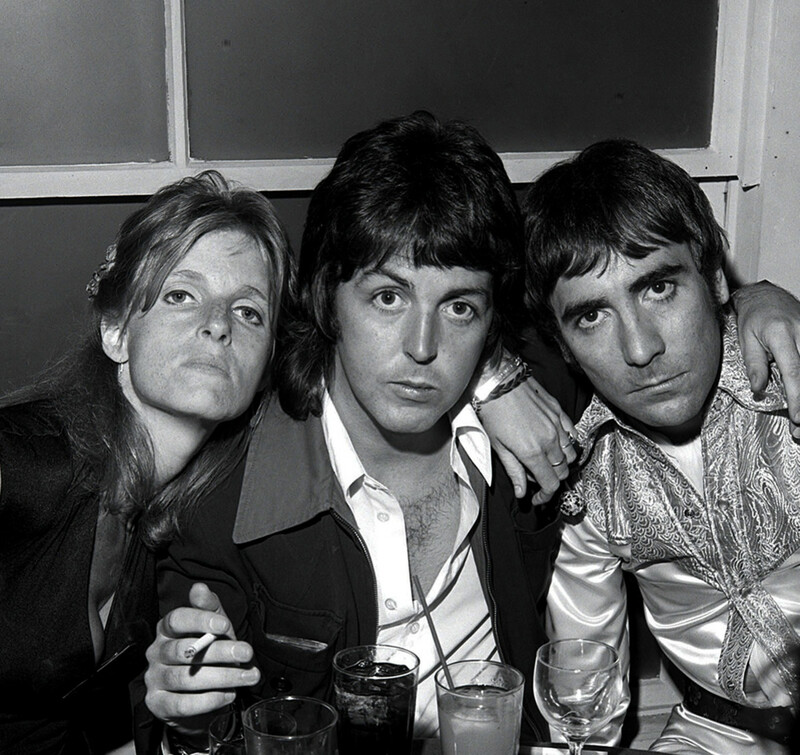 Paul McCartney was so impressed he went out and wrote songs such as “Here There and Everywhere,” which ended up on Revolver, often considered the greatest rock album of all time. While high on LSD, Moon went to see his baby girl, Amanda, after Kim had given birth to her and rested in the hospital. Essentially acting as a session musician, Moon played the drums as Jeff Beck, Jimmy Page, John Paul Jones and Nicky Hopkins played “Beck’s Bolero” for side B one one of Beck’s singles. Beck wanted to form a super group with these musicians but this never happened. Late in 1966, The Who’s biggest rivals for top hard rock bands were Cream and the Jimi Hendrix Experience, both of which had great drummers – Mitch Mitchell with Hendrix and Ginger Baker in Cream. Nevertheless, The Who wreaked havoc at the end of their performance at Monterey, with Townshend and Moon roughing up their equipment. But Jimi Hendrix, playing later in the concert that Sunday night, upstaged the Who somewhat by trashing his guitar and then setting it aflame. By this point in time, Keith Moon was playing the largest drum kit ever, “the engine” as he called it. Most rock drummers played with half as much as Keith did. Keith Moon had become quite the prankster while on tour. He once put the bloody barbecued head of a pig in the bed of Barry Whitwam, the drummer for Herman’s Hermits. Moon also liked putting fake spiders in between the sheets as well. 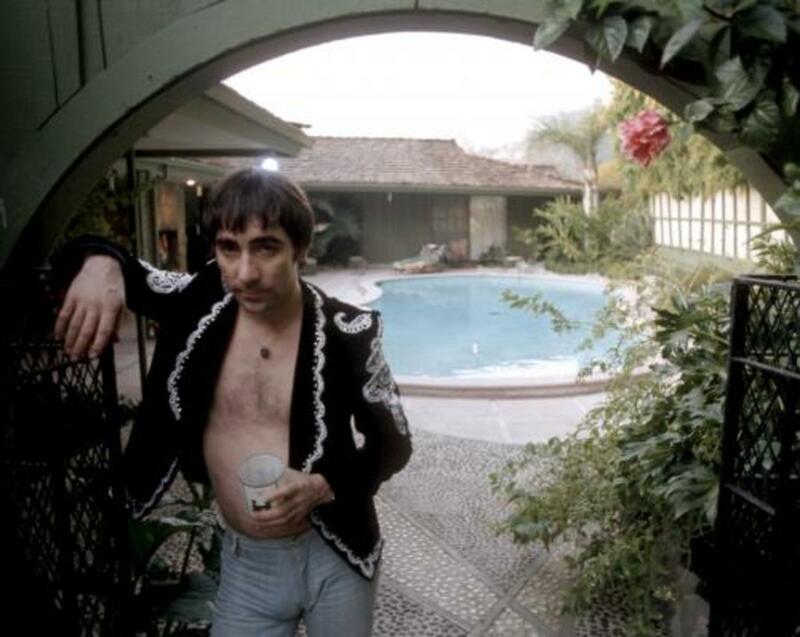 On Keith Moon’s 21st birthday, while playing around with his pants down in a drunken state – mooning people as he often did - Keith, as he hurried about the room, tripped and fell and knocked out one of his front teeth. At times, he would often remove the fake replacement as a joke. 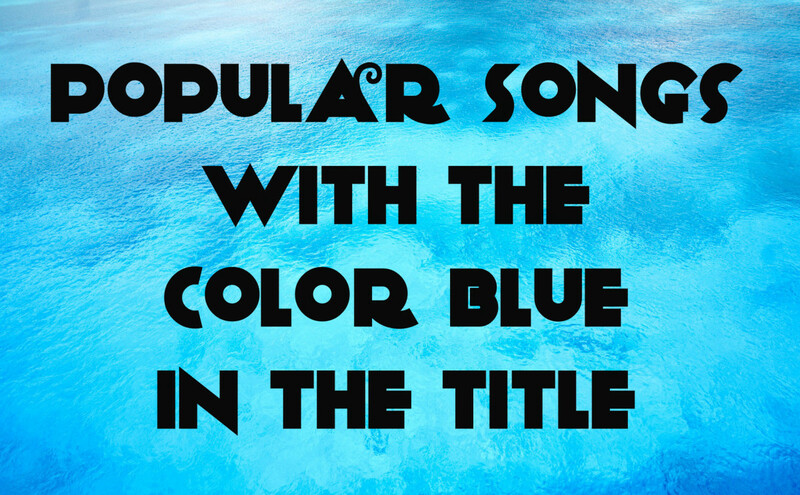 While still touring in America, “I Can See for Miles” hit the rock radio stations and this became The Who’s first top ten hit. Bassist John Entwistle wrote a song entitled “Dr. Jekyll and Mr. Hyde.” He said the inspiration for his song was Keith Moon, who often expressed similar extremes of personality while intoxicated. Members of the band, particularly Moon, often trashed hotel rooms while on tour or whenever the mood struck them. After Moon blew off some cherry bombs in New York’s impressive Waldorf-Astoria, the band was promptly expelled forever. After returning home from a long series of touring, Moon came back with a dose of the clap, which he inadvertently gave to his wife Kim. Suspecting her husband had been unfaithful while on the road, now she knew for certain he had been! Moon bought a pair of plastic, blow-up legs, put women’s clothes on them and then drove around in his Bentley, at times sticking the legs from the car and screaming in a female voice that a girl was being raped. The joke seemed so authentic that some people called the police. After going the entire year of 1968 without releasing a new album, the Who began working on a concept album entitled “Tommy,” about this deaf, dumb blind kid who was nevertheless a wizard at playing pinball. From 1968 onward, Peter “Dougal” Butler became Keith Moon’s personal assistant or “minder.” He tried to keep Keith out of trouble, which often meant keeping him from overdosing on drugs or getting him medical aid when he already had. Butler also frequently took the rap when Keith would crash a car, usually while drunk. Astonishingly, Keith never had a driver’s license or car insurance. In August 1969, The Who played at Woodstock but hated every minute of it. Before they played – 16 hours behind schedule – their drinks had been spiked with LSD and the photographers wouldn’t leave them alone when they were onstage. Nevertheless, as dawn broke, the band sounded marvelous playing tunes from their rock opera, Tommy. On a much less ethereal note, Moon, while drunk, had broken his wife’s nose no less than three times. At such times, Kim would usually pack up and leave him, and then Moon would beg her to return, which she always did. While leaving a bar at closing time, Moon and several other people were being intimidated by obnoxious young skinheads. Then Keith’s chauffeur, Neil Boland, hopped in Keith’s Bentley and drove Keith and the others away. But the skinheads blocked the car’s escape and Boland jumped from the vehicle. Keith took the wheel of the car and continued on. Somehow Boland fell under the car and was crushed to death. Later, Moon was absolved of guilt, though several of the young toughs were fined for starting the confrontation. During the seventies Keith Moon spent lots of time in Los Angeles, which had grown to become the rock and rock capital of America. La La Land also seemed to host a party every night of every day, many of which Moon attended, no doubt. The Who’s most recent album was Who’s Next, which featured numerous hit tunes, including “Wont Get Fooled Again,” “Behind Blue Eyes,” “Getting in Tune” and “Going Mobile.” In this inventive album, the Who used synthesizers and taped musical segments for the first time. And it could be said that Keith Moon provided some of his best drumming in this classic offering, particularly on “Won’t Get Fooled Again,” the single of which became a rock anthem. By the middle of 1972, Keith Moon was consuming two bottles of champagne and two bottles of brandy per day. Since The Who wasn’t touring, he didn’t have much else to do but party hardy. About this time, Moon played the part of a drummer in That’ll Be the Day, a British film about the early days of rock in the U.K. Getting many acting gigs these days, Ringo Starr played the lead in this flick. Keith Moon and Ringo Starr shared a lot. They were both famous rock drummers and admired one another’s musical capabilities. Also, both appeared in the same five movies together. And both had a wicked sense of humor too, as well as a weakness for alcohol. *Game for ingesting just about any drug, Moon, while in London, snorted a potentially lethal dose of heroin at the home of rock guitarist Leslie West. Perhaps Keith thought it was cocaine, which he had tried many times. Fortunately Keith was soon taken to the hospital, where they gave him a shot of adrenaline and pumped his stomach, saving his life. Keith Moon was diagnosed with having Borderline Personality Disorder, a condition which is on the borderline between neurosis and psychosis. Symptoms of the condition include suicidal tendencies; self-mutilating behavior; intense, short-term moodiness, irritability or anxiety; chronic feelings of emptiness; and periods of feeling removed from reality. In the early 1970s, Moon supplied comedic repartee on the BBC radio show Top Gear. This was during a time when Benny Hill and Monty Python were very popular in the U.K.
By this time, Moon’s wife Kim Kerrigan had left him and filed for divorce. To get even with Kim’s new lover, Moon paid a man 250 pounds to break the man’s fingers. But Pete Townshend found out about this “hit” and paid the tough guy 250 pounds not to break anybody’s fingers. 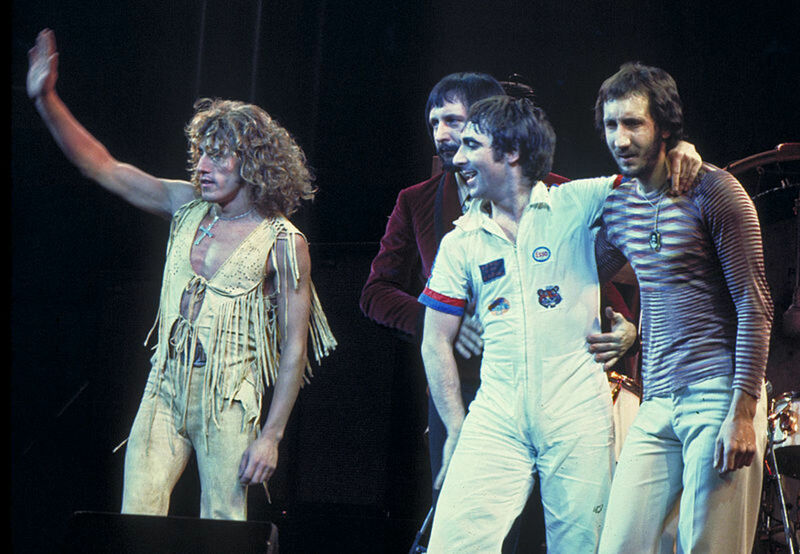 Filmed during the arena rock era of the 1970s, The Who performed in various stadiums while filming the movie version of their rock opera, Tommy. 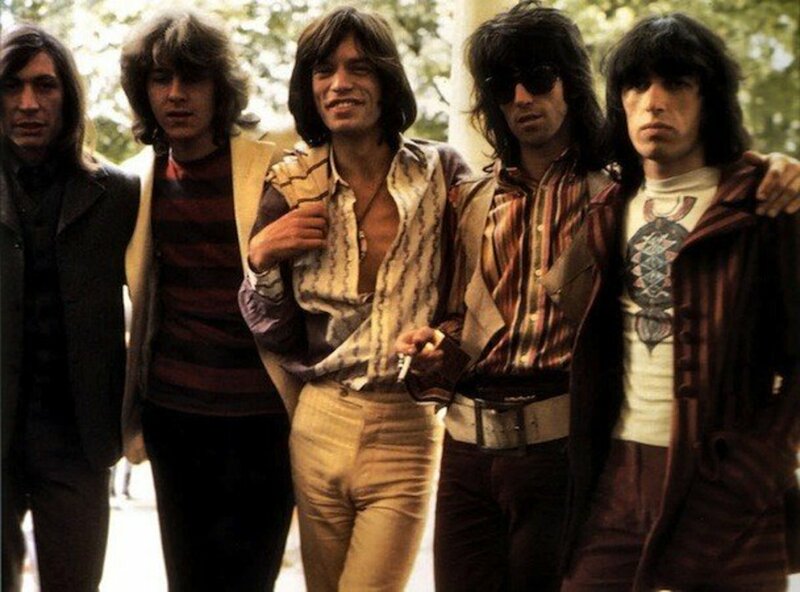 At this time, Keith was playing his biggest drum kit to date – three sets of tom-toms deep. 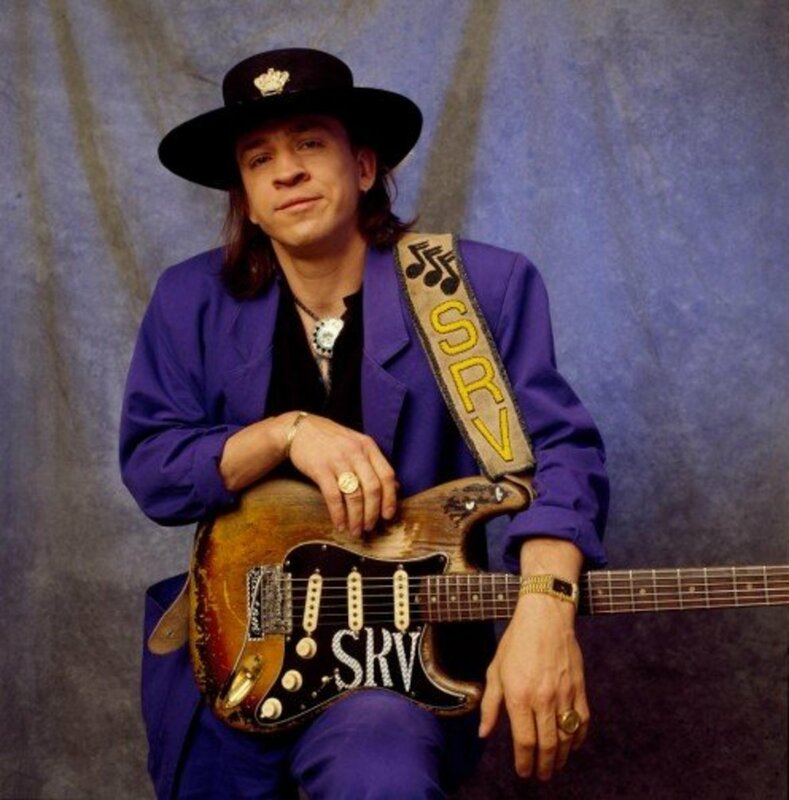 Keith didn’t play left and right, he played forward. While at a dinner party at Oliver Reed’s house, somebody started a food fight and then Keith Moon went berserk, destroying tables and chairs, chandeliers, anything he could get his hands on. While trashing Reed’s home, Moon cut himself and an ambulance came and took him away. The damage was in the tens of thousands of dollars, but Reed didn’t make Moon pay for anything. 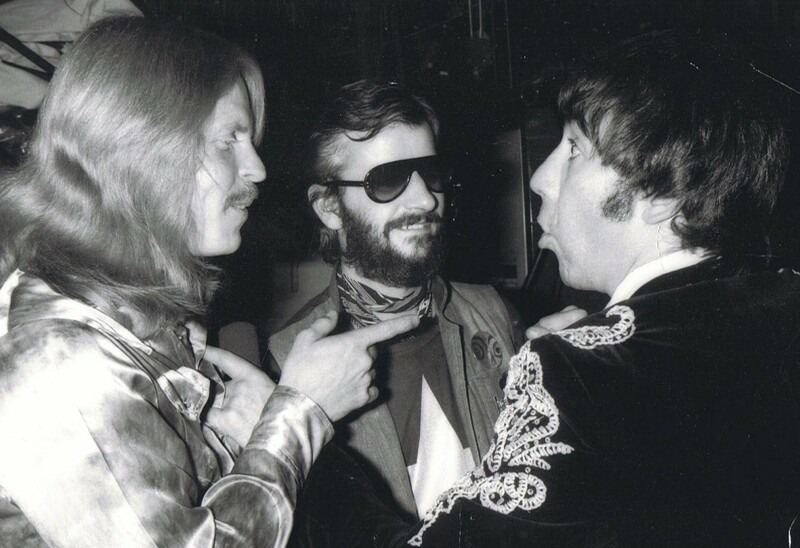 Ringo Starr, who was also at the party, just shook his head as if he’d seen it all before. Reflecting on the incident at Reed’s home, Keith Moon thought he might be possessed by familiars or demons. Some people thought he was schizophrenic, but his ex-wife Kim didn’t agree. Others figured Keith was simply alcoholic and/or drug-addicted. Sensing something was definitely wrong, Keith tried to quit drinking and drugging but couldn’t quit anything for long. After having what was generally considered a nervous breakdown, Moon ended up in the psychiatric ward at the Hollywood (Florida) Memorial Hospital. He spent eight days there, thinking he was at a health spa and would soon be playing tennis. But the staff simply helped him dry out and get moderately healthy again. Curiously, when Moon moved into a beach house at Malibu, his next door neighbor was actor Steve McQueen. Moon wanted to be friends with McQueen, but McQueen, who loved his privacy, certainly did not. In fact, McQueen sued Moon to keep him away. Moon began having seizures when withdrawing from alcohol or cocaine, his two most abused drugs. He really wanted to get clean, if nothing else, for the sake of his band. The Who had begun producing a retrospective film entitled The Kids Are Alright, and they needed Keith to begin filming, which he didn’t think he could do unless he gave up drugs. In order to combat alcoholism and insomnia, Moon began taking the sedative chlormethiazole, trademark Heminevrin. Unfortunately, this drug was very dangerous when taken with alcohol. Also, it should only have been taken while a person was under close medical supervision, which Moon definitely was not. *Moon’s girlfriend Annette Walter-Lax, a Swedish model, liked Keith when he wasn’t drunk. When sober he was sweet, kind and considerate. But, while drunk, he turned into a mad man. One night, Annette found Keith unconscious and with no pulse. Annette tried to revive Keith in various ways but nothing worked. Then she called an ambulance, but Keith was DOA at the hospital. During the autopsy, the coroner found over 26 undissolved Heminevrin tablets in Moon’s stomach. This was a massive overdose, though suicide was not suspected, even though the regular dosage for such pills was one to three pills per day. Keith Moon died on September 7, 1978. He was only 32 years old. Even though Keith Moon lived a life filled with decadence, debauchery, alcoholism and heedless drugging, his legacy is very impressive and worthy of note. 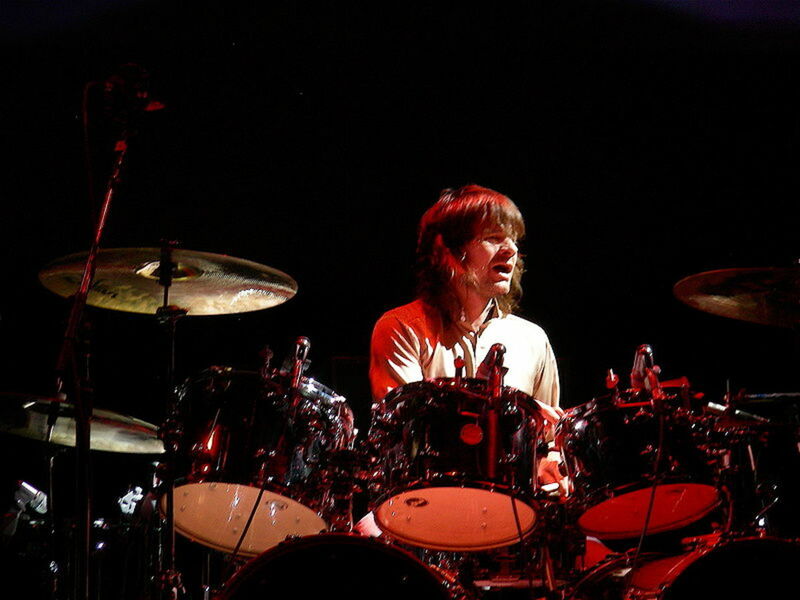 Moon played with one of the greatest rock bands of all time and is often considered one of the best drummers ever. In 2011, the readers of Rolling Stone magazine voted Moon the second best drummer ever (John Bonham of Zed Zeppelin was picked number one.) At any rate, Moon may be the greatest character rock and roll has ever produced. Who was – or is – better in this regard? Of course, Keith Moon’s hell-bent drumming style has often been imitated by generations of rockers. One of those is named Zak Starkey, Ringo Starr’s son, who has performed and recorded with the surviving members of the Who since 1996. Now doesn’t that give you a warm, touchy feeling deep down in your gut? 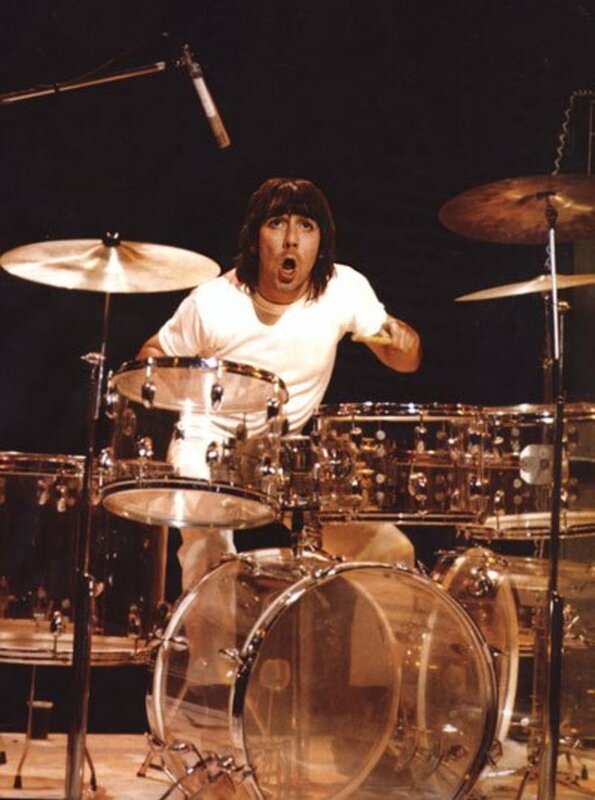 Please check out the following videos exemplifying the drumming prowess of Keith Moon. My absolute favourite drummer. I could pick him out blindfolded. What a character. Met him once and he scared me half to death. A truly liveable rascal that left us way too soon. Incredible drummer. It's sad how he was encouraged to become a parody of himself though. That's what really killed him. He had to try and out-Moon himself because it was expected of him. Would have been a nightmare to live with. Yeah, Moon and Bonham were rockers of the same ilk, weren't they? Both died at 32 with fried livers! Incidentally, two of the greatest drummers, Keith Moon and John Bonham were crazy on the drums, partied like anything and were destined to die young. Both died at the age of 32. Thanks for the comments, chef-de-jour and catfish33. 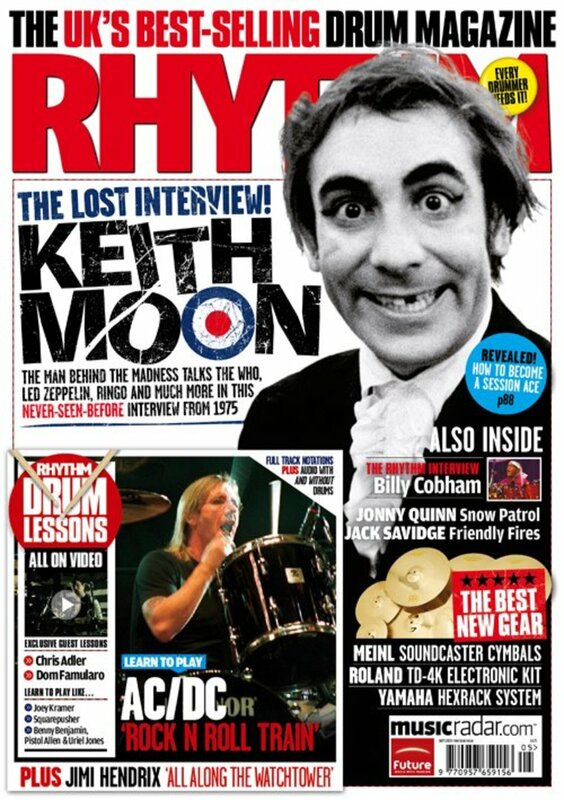 Keith Moon definitely lived a legendary life, didn't he? And, of course, like many legends, he passed on way too early. Later! That was a great piece. I could listen to Moon stories by the hour and believe every one of them! Keith Moon, a true legend, burned out like a comet. 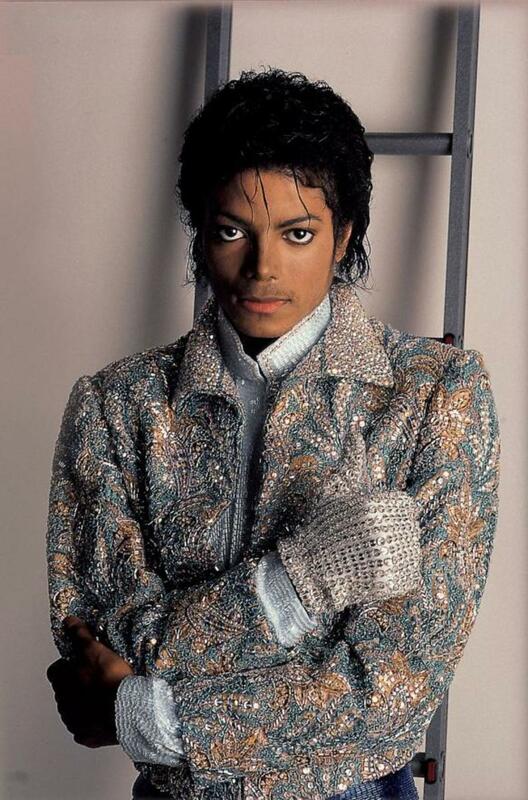 I recall seeing him flailing away on his drums, mad eyes staring, hair flopping around, when I was a young kid. Such energy.Unbelievable,we'd never seen anything like Moony. Just up the road from where I live the Who performed in 1970 - at Leeds University - and recorded what is known as the best live rock album in the business The Who Live at Leeds. They reached the heights, driven on by Keith Moon.